A conga-line of successive federal governments have been treating the tourism sector as a proverbial cash cow. Each year the government ratchets up the fees and charges on the tourism industry – if it’s not the hiking of tourist visa fees and the passenger movement charge in one year, it’s a new cash grab like the backpacker tax or increasing the cost of getting a passport in the other. China is our most lucrative visitor market – they stay longer and spend more in Australia than other visitors. This has to stop. As the Prime Minister has so eloquently put it, “If you want less of something, you tax it more”. The Australian community recognises the value of attracting more high-yield international visitors to Australia and having them spend their money in our cities and regional and rural communities, accelerating growth and generating employment. Australia is a long-haul destination, there is no getting around that. So that means we need to work harder than other nations to convince prospective tourists to make the trip here. A key part of our enticement to these visitors should be a financially competitive and innovative visa system. 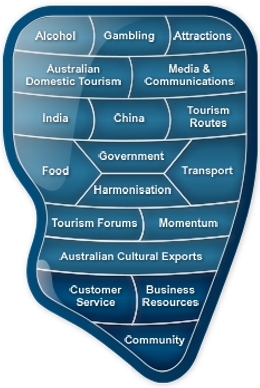 China is the international visitor market with the most impressive growth for Australia. More than one million and growing at more than 20 per cent per year and these visitors are spending $8.9 billion in our country – that is more than our next two largest tourist spending markets of Britain ($3.9 billion) and the US ($3.6 billion) combined. This sounds huge, but Australia is attracting less than one per cent of the more than 100 million Chinese travelling overseas and that will shrink to a smaller percentage when it hits 200 million travelling Chinese in 2020. 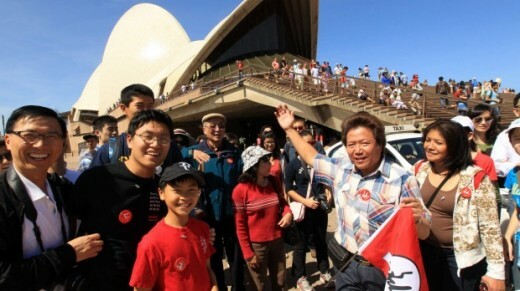 Every one of these one million Chinese visitors is being charged $135 by the Australian government for a tourist visa, and when combined with the $55 “holiday tax”, otherwise known as the passenger movement charge, it adds up to a whopping $190 going straight to the government. Visitors from the US can pay as little as $20 for the equivalent right to travel to Australia, and those from New Zealand and Britain pay nothing. That seems to be strange when China is our most lucrative visitor market – they stay longer and spend more in Australia than other visitors. Chinese visitors spend on average $8730 per person during their visit. Nations neighbouring China – and our key competitors – recognise the value of this market. Korea’s tourist visa costs about $54 and Japan’s is just $40. A Chinese visitor can access the 26 European nations of the Schengen​ zone including France, Spain, Germany and Italy for $90. It’s a false economy to be trying to cash in with high visa fees to prop up the budget bottom-line and not recognise the broader economic benefit of more visitors spending more money in our businesses. The latest tourism figures confirm that international visitor expenditure to Australia reached a record $37.9 billion – a whopping 17 per cent increase on the previous year. We can do even better. Why don’t we cut the cost of tourist visas to a competitive figure, and make it as easy as possible for visitors to get one. That will send a strong message that Australia is serious about growing our visitor economy and that we are a welcoming destination that values visitors. It is often too easy to say that tourism numbers are growing and to be complacent about our appeal to tourists. Not anymore. The potential for radical growth is there and now is the time for our political leaders to act. Margy Osmond is the chief executive of the Tourism and Transport Forum.